Adjustable dog collar for 12″-20″ neck size. 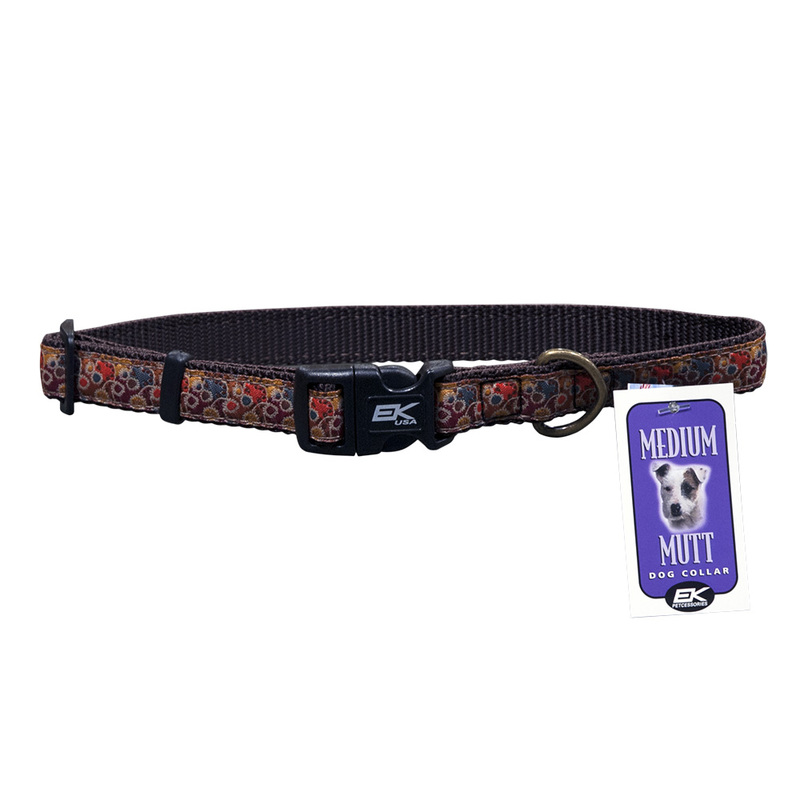 Made from 3/4″ wide nylon webbing with 5/8″ wide designer ribbon. Features EK’s outdoor durability without neglecting fashion.